Hei, Craft-Room haasteessa on menossa Oh lala Ranskalaishaaste ja tässä toinen taulu jonka tein! Hi! 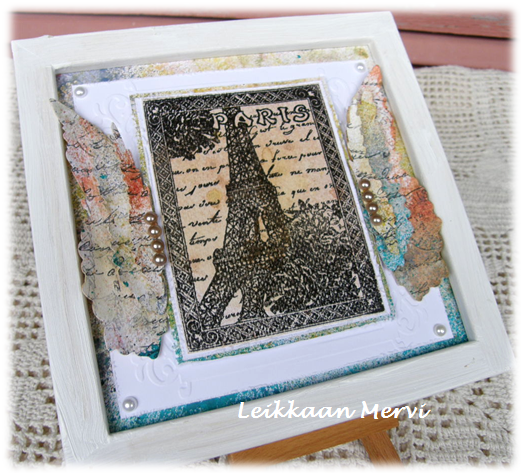 I made another Paris frame in another colours. Welcome to join us at Craft-Room Challenge, theme is Oh lala Anything Frenchy. 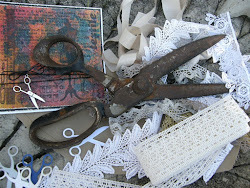 The winners of my Punches and die-cut Challenge is now on the blog, congrats! Upeaa! Kävin myös ihailemassa noita alempia postauksiasi. As usual, another beautiful creation from Mervi! Congrats for your top3, the first frame on Paris was flaming! The new one is more sober! I love them both!